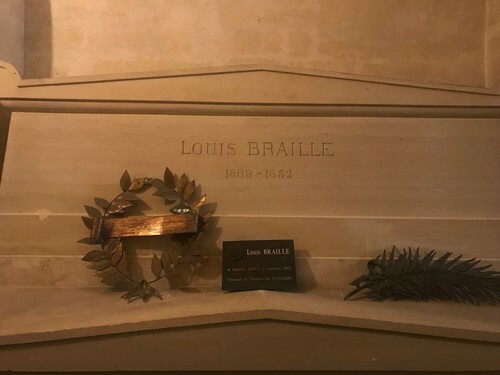 In 1852 Louis Braille was buried at the Coupvray cemetery where his father and his sister were already buried. 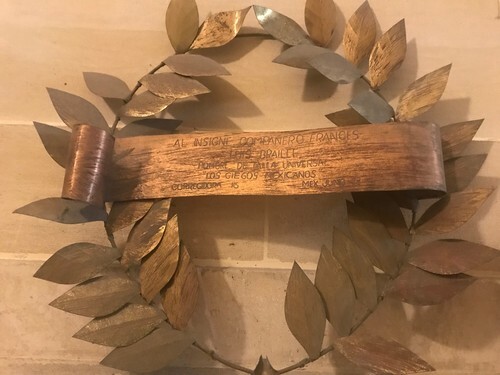 Then in 1952, on the occasion of the centenary of his death, he was transferred in the cript of the Pantheon (Place du Panthéon), in Paris. 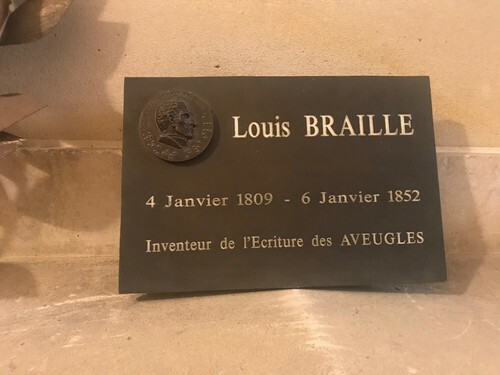 However, Braille's hands, his important trademark, are still at Coupvray.